Civil Air Patrol, the official U. S. Air Force Auxiliary, is a civilian, volunteer, nonprofit, service organization with almost 62,000 members nationwide. There are eight geographical regions composed of 52 wings — one for each state, Puerto Rico and the District of Columbia. Wings are divided into groups, squadrons and flights for a total of 1,900 units and more than 58,000 Cadets and Senior Members. CAP corporation and its members own and operate more that 5,000 light aircraft, the world’s largest civilian fleet, and volunteers fly about 140,000 hours each year on CAP missions. The National Headquarters is located at Maxwell AFB, Alabama. 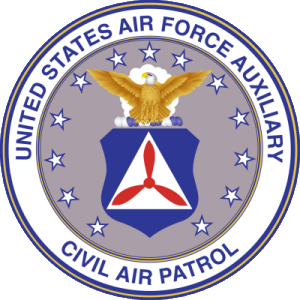 Civil Air Patrol (CAP) won fame during World War II for its coastal patrol and other all-volunteer civilian defense activities. Today, CAP members perform more than 95 percent of inland search and rescue missions as tasked by the Air Force Rescue Coordination Center. CAP also conducts a wide variety of emergency service missions including disaster relief and counter-drug activities. CAP volunteers take a leading role in aerospace education and conduct one of America’s finest youth programs, the Civil Air Patrol Cadet Program. The cadet program is open to youth ages 12-18 years of age. Cadets have opportunities to participate in many activities including search and rescue, disaster relief, survival training, radio communications, land navigation, model rocketry, leadership training, first aid, physical fitness, orientation flights (aboard a CAP or military aircraft) and much more. You don’t have to be a pilot or need military experience to join Civil Air Patrol. Civil Air Patrol cadets are also not obligated to join any branch of the military service. The 115th Composite Squadron is a terrific place for you and your family to learn, grow and help serve our community, state and nation! 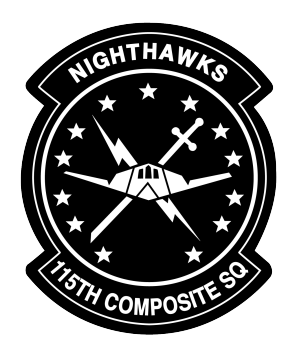 Senior members (adults) of the 115th Composite Squadron (115th CS) have varied backgrounds – educators, business professionals, pilots, retirees, students – some have military experience, others have none. Current 115th CS Cadets (youth) live in and around the Benton / Washington County area. Seniors meet the first and third Tuesday night from 7 pm to 9 pm and cadets meet every Tuesday from 6:30 pm to 9pm. Check out our meeting information in our Contact Us page. Membership in the Civil Air Patrol consists of cadets ranging from 12 to just under 21 years of age, and senior members 18 years of age – on up! By volunteering for CAP, these two groups will have the opportunity to participate in a wide variety of aviation-oriented pursuits that serve the local community.